New Jewelry Displays and Boxes at NileCorp! Nile Corp., a well-established name in the jewelry displays and supplies business is excited to offer you their new jewelry displays and boxes. 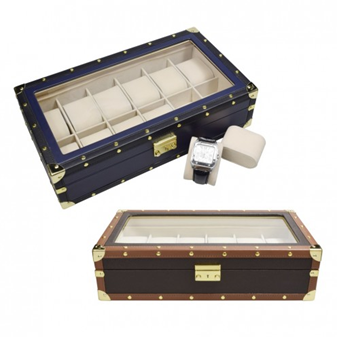 Professionally built and design to match their specific piece of jewelries, these display boxes are sure to enhance the beauty of any jewelry and catch the attention of your buyers. Here are some of the new jewelry boxes and displays for you to check out! These adorable boxes are perfect to match with any rings from your collection that will be bought as a present to someone special. 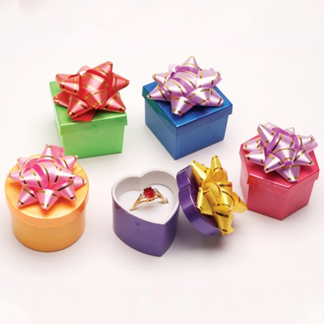 With its cute rubbon design at top of it, it distinctly remind as of those adorable wrapped birthday gifts we receive. 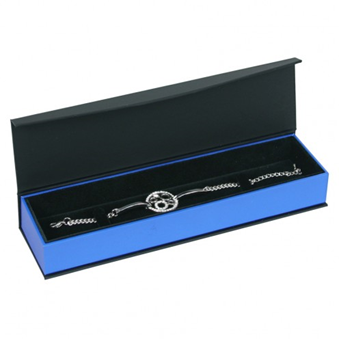 The perfect box to pair with those elegant watches and bracelet your selling, this deluxe paper bracelet/watch box has an outer blue silhouette and an inner velvet soft fabric to protect the piece of jewelry inside. 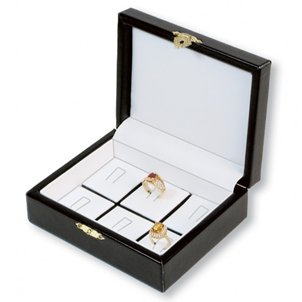 This exquisite jewelry case is where you can store your most precious rings. Designed with a clasp-and-lock detail, this deluxe ring case has a hard outer black silhouette and an inner velvet soft fabric inside to keep your rings unscathed and safe. 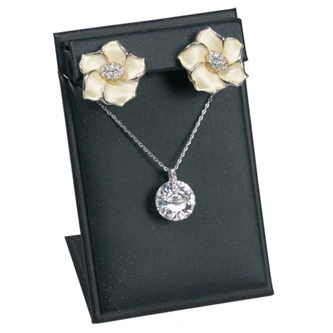 This elegant large earring display is where you can display a set of earrings and necklace. It has a black faux-leather silhouette, designed to keep your jewelries unscathed while being display. Store, organize, and display your watch collection securely with this two-toned brown PU leather watchcase featuring gold plated embellishments for a modern look. It consists of a sturdy MDF frame and 12 individual beige suede cushions in divided compartments for holding up to a dozen of your timepieces. Simply remove the cushions to use the case as storage for other items and accessories. The high clearance lid features a clear glass window for easy viewing and a gold plated lock and key for added security. On Sale Items at Nile Corp this April!